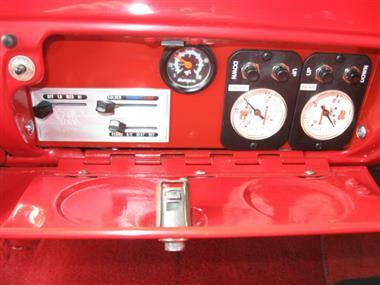 1956 Chevrolet Nomad Restomod newer 350 Crate Motor with aprox 11miles. Have a doc. letter 996 score out of 1000, the highest ever when judged by CCI(CUSTOM CHEVY INTERNATIONAL). 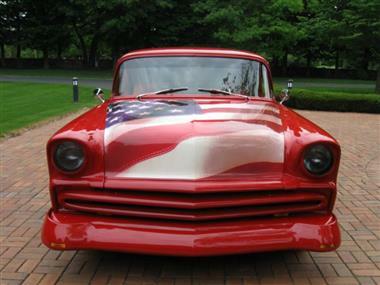 Car listed in numerous national and international magazines. 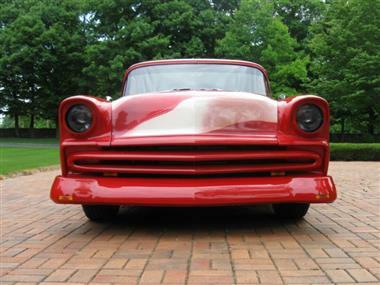 Garage kept Body with no Rust, no fading!... SUPER CLEAN Over, Under and Inside! 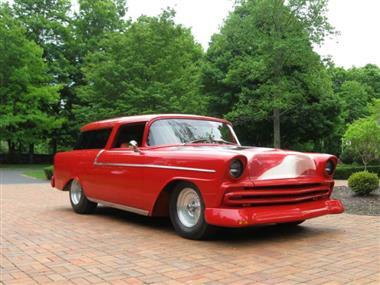 A true 1956 Chevy Nomad, restored and modified professionally and tastefully never taking away from the distinctive and alluring Nomad Sport Wagon legacy. Very Rare Breed. A multi-Award Winner, once only Trailered and Judged, now an affordable addition to many and of course to the most discriminating collectors and enthusiasts. Drive it ANYWHERE! These Nomads have become Tremendously hard to find and continue to be at the top of the list of collectibles with the fast rising appreciation. 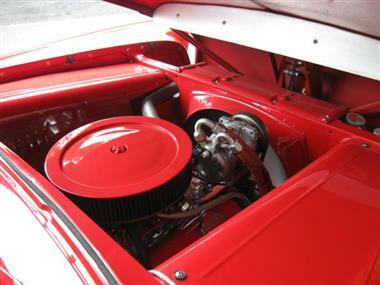 One of the most Iconic and desirable cars from our past, now taken steps further creating a true modern RETRO-MOD Marvel. The best of both worlds. Nostalgia at its best, with many of the current engineering advances of today. This beauty even comes with its own name, the LOMAD ,because of its slightly lowered Air-Ride design and as described by its creator ,listed in numerous magazine publications both in the United States and abroad! Many awards and trophies were earned by this automobile, but probably the most coveted being the achievement of a 996 score out of 1000, the highest ever when judged by CCI(CUSTOM CHEVY INTERNATIONAL). 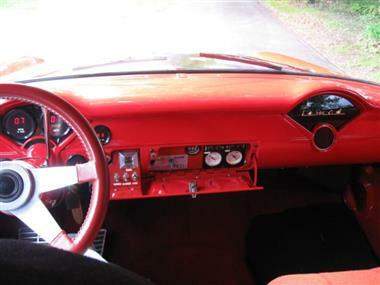 HAVE THAT DOCUMENTED LETTER,SIGNED, which I will include in sale as well as copies of some of the magazines that included the car in Photo and print, with detailed info and instructions prepared for the new owner to help with all the gadgets, bells and whistles! 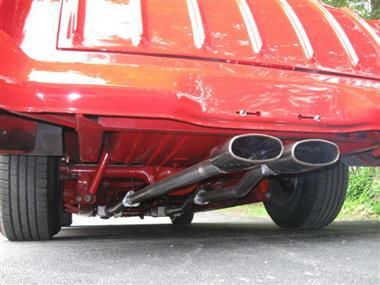 Publications of the Nomad include; SUPER CHEVY Magazine, ALL CHEVY Magazine, Classic Chevy World (One of its Cover Shots! ), ROD ACTION and many others. Well over $125,000 spent during Total and complete restoration along with countless hours to create! 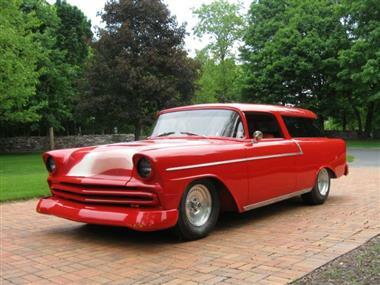 This vehicle is priced $6,752 less than the Average Market Price of $61,747 for a 1956 Chevrolet Nomad. This is a Good Deal as it's priced 11.0 % below market avg. The Pie chart below shows the number of ads within different price ranges.